GREAT GRAPHICS!! Love the phaser fire and the romulan class donuts!!! 10/10!! One moddeler to create the "Donut" class confectionery. Ideally this class should be plain when constructed and chocolate covered when assimilated. Unfortunately the filefront system won't allow me to mark things up as 11 or 12, so I am having to content myself with 10. Warning: This Mod can lead to strong hunger attacks! You have NO permission to change the model and/or to release it. The Copyright of the 3D-Models, the textures, weapons and pictures and everything coming with this Mod-Pack is by me. and everything else which you need to install this pack. If the donut gets assimilated it gets a tasty chocolate cover. This Donutpack is particularly dedicated to all american donut-lovers. More information can you find in the category: "Model-information". 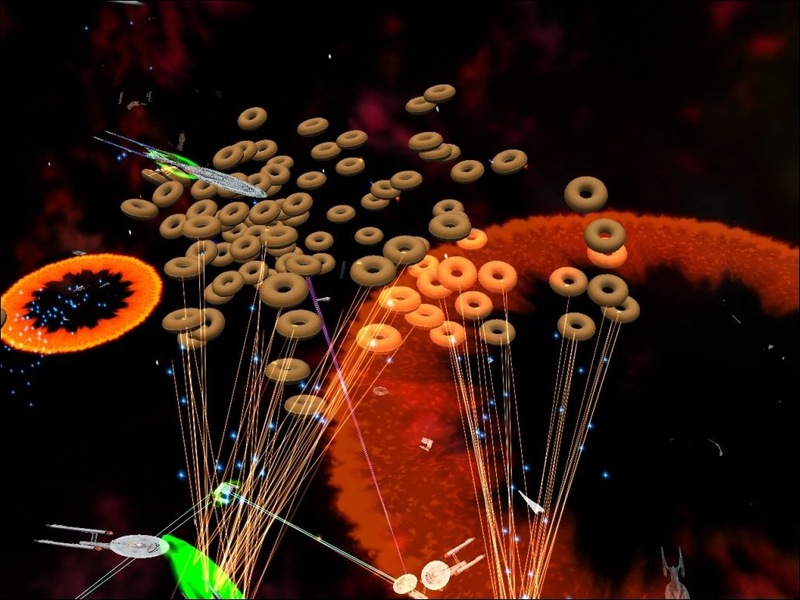 in your Armada directory to "...\Activision\Star Trek Armada II\SOD"
INFORMATION: Ignore the file "fwdonut.odf" BUT rename the file "fwdonut_EN.odf" to "fwdonut.odf"
in your Armada directory to "...\Activision\Star Trek Armada II\odf\ships"
INFORMATION: Ignore the file "fwdonutbox.odf" BUT rename the file "fwdonutbox_EN.odf" to "fwdonutbox.odf"
in your Armada directory to "...\Activision\Star Trek Armada II\odf\stations"
then use the images listed below, but delete the "_lores" tag. in your Armada directory to "...\Activision\Star Trek Armada II\bitmaps\AdmiralsLog\ShipImages"
2. 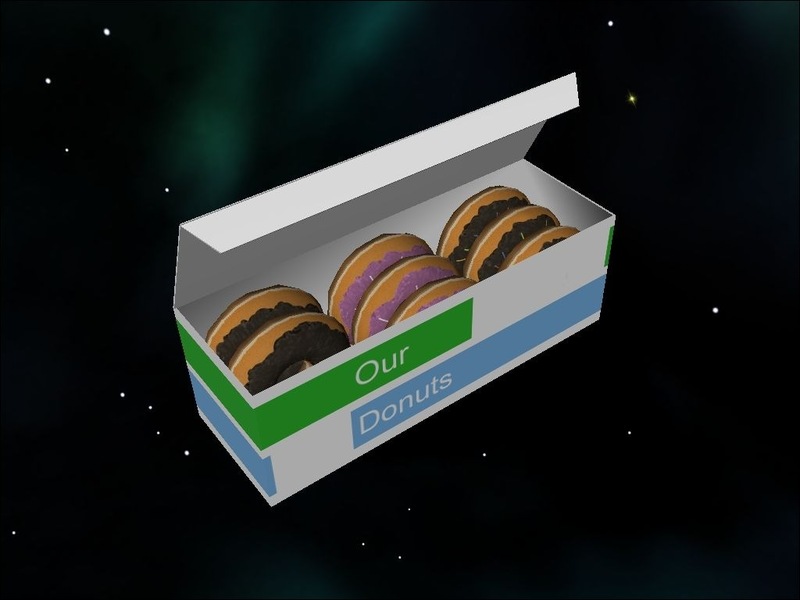 Choose a construction ship, which should build the Donut-Box. -Open fconst.odf with your Windows Texteditor (Notepad) or an other Programm like this. -Write under the text: buildItem13 = "fwdonutbox". construction ships can only build 14 stations. -Save the file and close it. 3.-Choose the directory: "...\Activision\Star Trek Armada II\techtree". Open the file "fulltech.tt" with the Windows Texteditor and search "fbattle.odf 0". -Do not change the directory but open the file "tech1.tt" with the Texteditor. 4.-Choose the directory: "...\Activision\Star Trek Armada II\Sprites". open the file "gui_global.spr" with the Windows Texteditor. is it possible to open the SODs to look for the harpoints. and or releases with out the authors permission. Have fun with the Donuts! I really dont understand why HSM_Frontier is getting all *****ed about this. It's just a donut, so what if it's not Star Trek. If it bothers you, for any reason at all, just don't comment on it. Also that is from all the posts that you made about donuts, not just ths one. Frankly I am not going to download this, becuase I just don't want to. But oviously, creativity and origonality would get a 10 from me. I can't reall rate fun factor, but If I did download it, I would have fun with it. 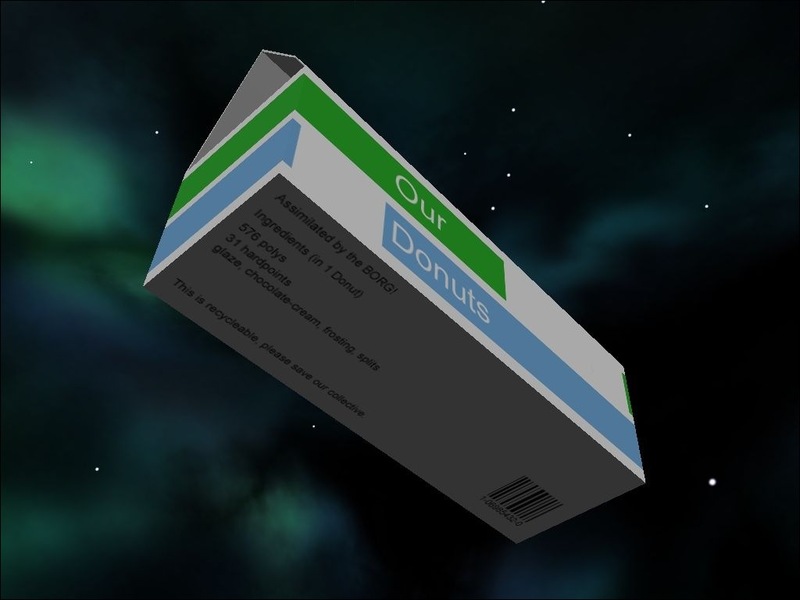 Also, so what if armada files has donuts and heads? its just a few files that where made for fun. No harm done. Attention: Activision, Mad Doc nor any of its subsidiaries including FahreS can be held Responsible for any damage to your computer or orally that may occur when trying to eat these binary-flavored donuts. You will only hurt your teeth poking at the screen. 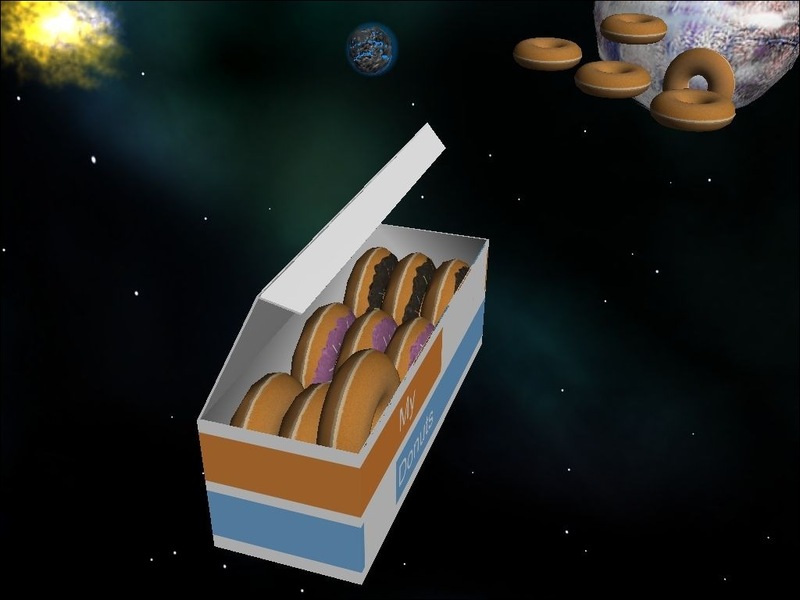 The donuts and donut box are both registered trademarks of FahreS Donuts Incorporated. -Copyright 2006. All rights reserved.